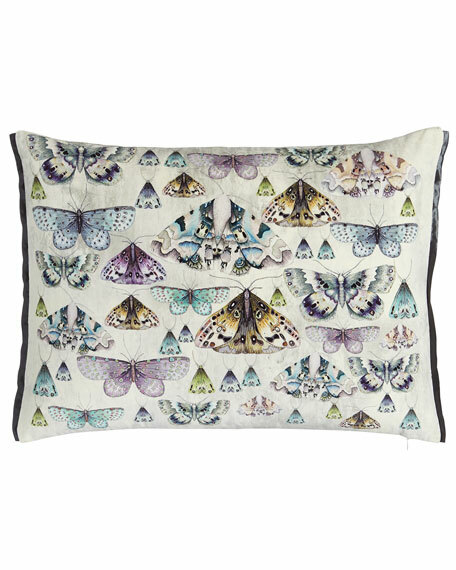 Printed velvet pillow features exquisitely drawn butterfly specimens. Cotton reverse is printed with a trio of butterflies. Finished with satin trim at sides. 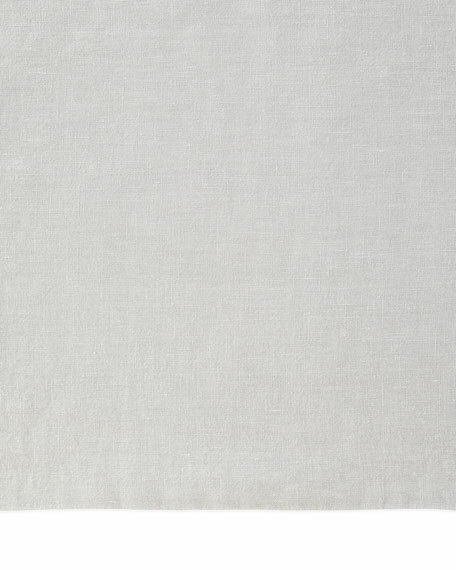 Fitted sheet made of linen. 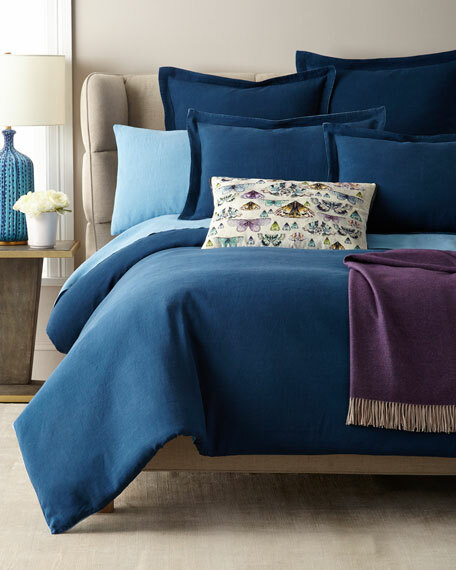 EXCLUSIVELY OURS.Hand-quilted framed comforter with tied ends. 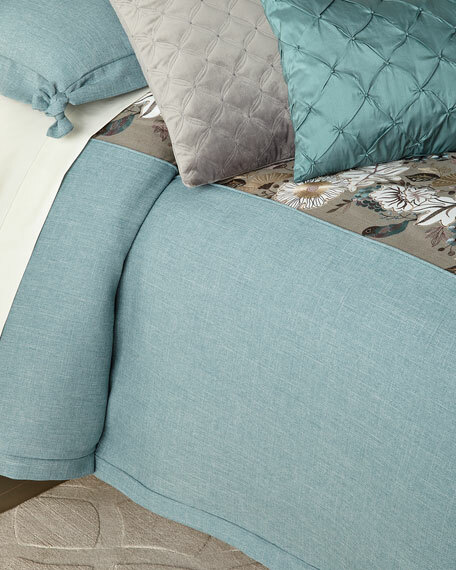 Set includes two shams with coordinating 1.5" flange. Solid back with zip closure. Comforter: 108" x 95". Cotton/linen/polyester/viscose.Dry clean.Made in the USA of imported materials. 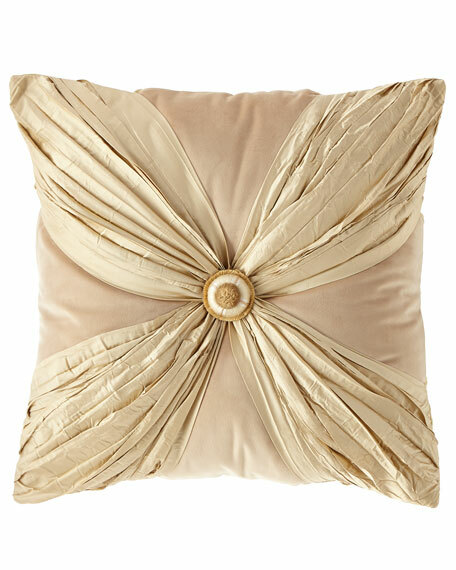 Metallic woven jacquard pillow.Cover: polyester/rayon. Down/feather insert. Zip closure. 24"Sq. Dry clean.Made in the USA of imported materials. Refuge Textile No. 1 Pillow, 20"Sq. 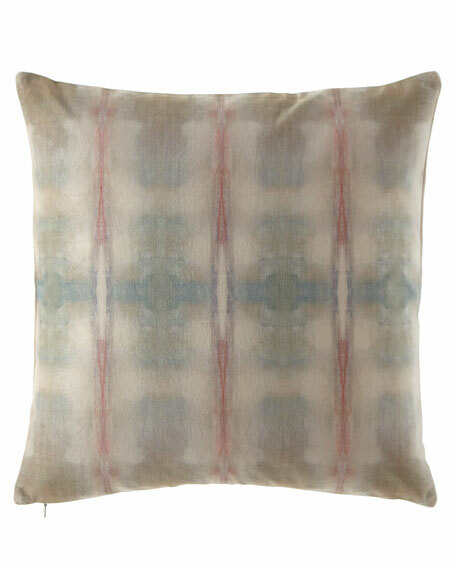 Digitally printed modern abstract artwork by Carol Benson-Cobb on a double sided velvet pillow. 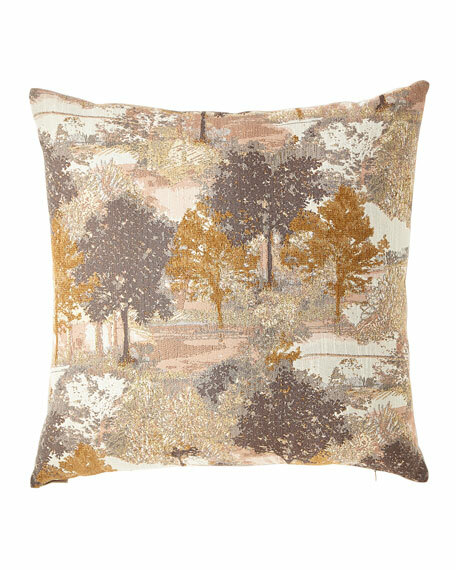 Derived from original artworks with natural colors on soft luxurious velvet fabric. Polyester.20"Sq. Dry clean.Imported.